Blend it all up and that’s what it looks like. It has 60g total protein (full chain). It gives a 1:1 ratio of omega 3’s and 6’s. Ratio is everything. We’re about to do a 1 month test (version 4.1 *smile*) on removing the hemp seed, adding more flax, to make the ratio 2:1 omega 3’s. Except for the fruit, it’s sugar free. Keep in mind non-concentrated fructose is a natural “organized carbon” and will assimilate properly. 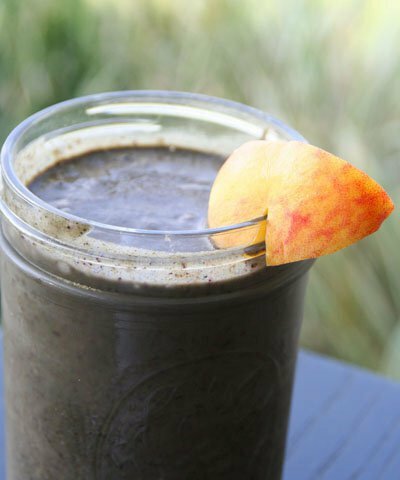 This particular shake version is heavy, around 900 calories (mostly from the sunflower butter, hemp and banana — all are optional). Drink half of it, then the other half 2 hours later. You can remove the sunflower butter, or simply cut the measurements in half if you want to slim it down. Experimenting is everything. But if you are all about staying vegan AND maintain muscular performance, these are much needed calories. It can be expensive up front (esp. 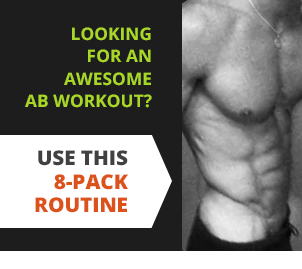 the rice protein and maca powder – gotta know where to shop), but it’s SO worth the $. The items should last for over a month (using the measurements we use), longer if you minimalize. We buy all the seeds in bulk, use a coffee grinder to make them more digestible/mixable. Use however much water to increase/decrease the desired thickness. Super is seriously an understatement at this point (hence Vitality Blast! ), but there you have it, version 4. And the high? …it lasts for hours. Here’s a link to Matt’s first [embarrassing] attempt at making a video about the first version of the super-shake. He knows! Too much talking! 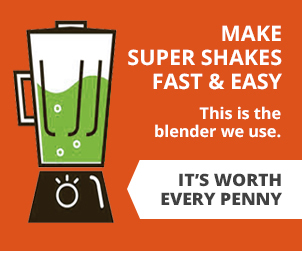 …Which is why we’re rerecording a [much better] new video about the NEW shake and will post it onwww.vitalityadvocate.com! We’ll also give instructions for where to buy the items locally, or the best places that we shop at on the internet, and where to save the most. Vitality Advocate is currently working out an affiliate relationship with a distributor that carries most of the items. Hopefully when that is set up, we can hook you up with the best discounts. Stay tuned for all that and good luck!